A somewhat regular feature I usually wrote in that old newspaper, along with contributions from a few readers, was something I called Quick Hits. The goal was to state an opinion in up to 100 words. 1. Many readers told me in person and by email how much they liked the Quick Hits because they were short and could be read quickly. 2. Contest judges annually praised the Quick Hits for what they added to the newspaper’s Opinion page. But I just liked the Quick Hits because they were a relatively quick and easy way to make sure there was some kind of local commentary on Opinion pages on days when I didn’t have time to write something longer. Conservative blogger Andrew Breitbart often said and did things in ways I try avoid — even when I agreed with him. But the death Thu rsday of the 43-year-old father of four is a good reminder to keep the highs and lows of our own lives in perspective. And those on the left who have celebrated upon hearing the news of his death are just as bad as they have said Breitbart was. ← Did I click on the right link? Chris, I enjoy the quick hit, short n’ to the point. 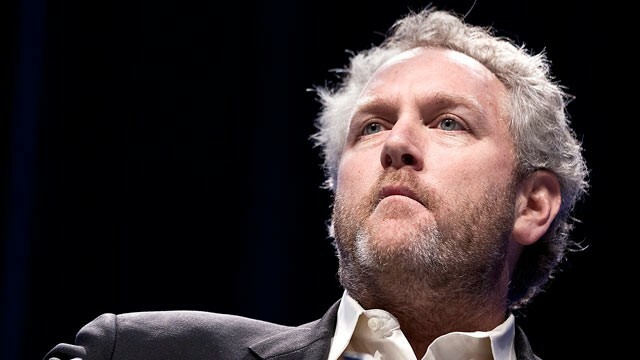 Watched the Red Eye tribute to Breitbart – it would have been fun to have a few beers with him. Breibart was a master at taking the tactics of the Left and directing them back at the Left. That’s why there’s so much hatred from certain factions. I am an ultral liberal read “yellow dog Democrat” and take no jooy in mr Breitbart’s death. I, of course, flashed on Spiro Agnew. I am glad to see the Quick Hit back. I enjoy the challenge, because I am one who struggles at making a point short. For the ” nattering nabobs of negativism” they must live a sorrowfull exsistence. Chris, I enjoyed the Quick Hits. I have also enjoyed your new blog. Keep up the great writing and I look forward to reading more. ~Kathy J. Thank you. I’m glad you found me here.